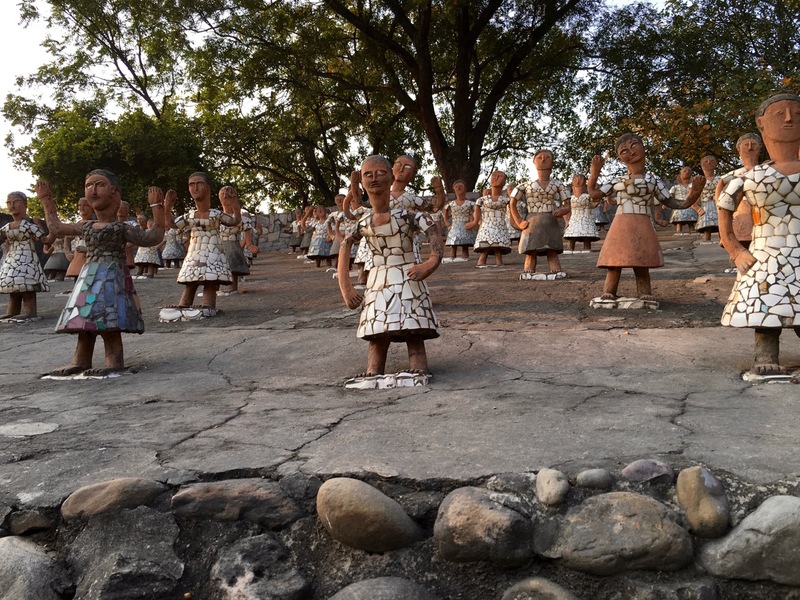 One of the few touristy things to see in Chandigarh is the Nek Chand’s Rock Garden. 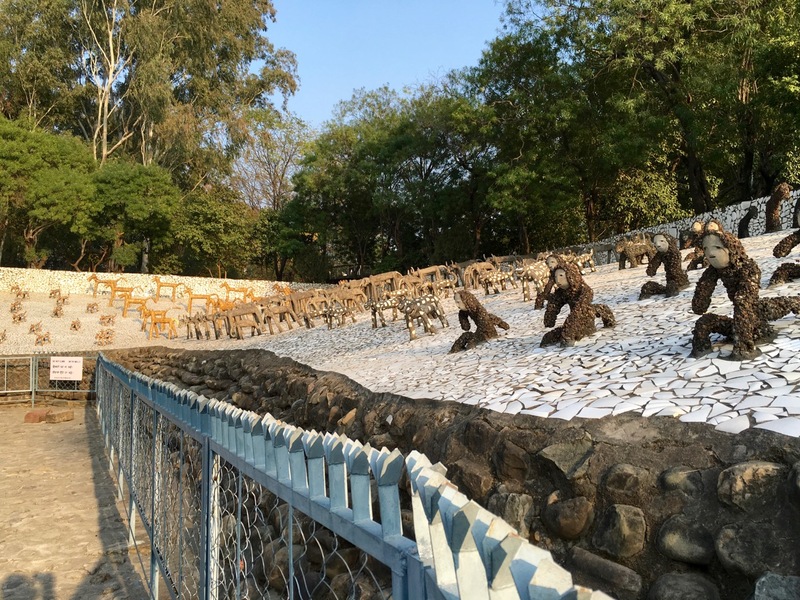 Back in 1902, before the city of Chandigarh even existed, the government set aside a bunch of forest near a lake as a conservancy, stating that nothing should ever be built on it. Then, in 1947, Indian partition happened and the state of Punjab was split into two parts, one belonging to Pakistan and one belonging to India. The Indian state needed a capital. For some reason, they didn’t choose Amritsar, but decided to plan and build the new modern city of Chandigarh. 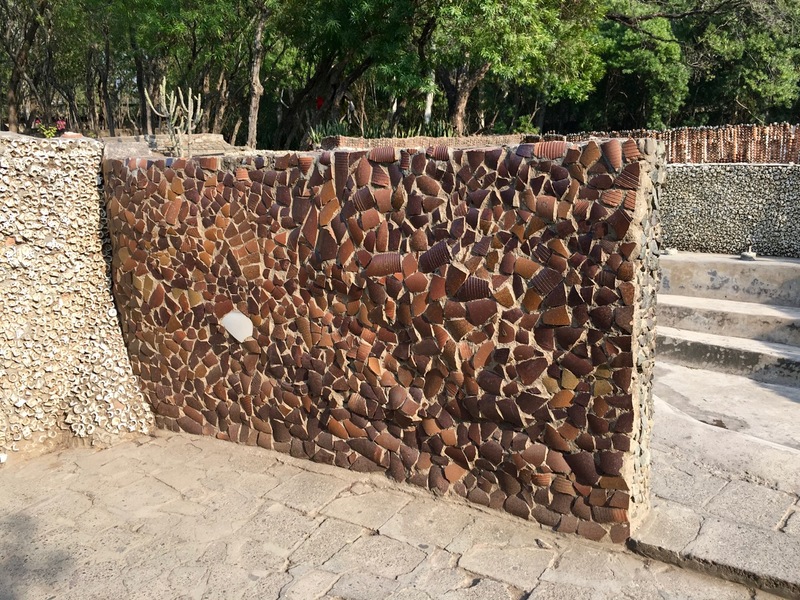 In the 1950s, existing villages were being demolished to make way for the new city, and the demolition created a lot of waste building materials such as ceramic tiles, glass electric line insulators, etc. 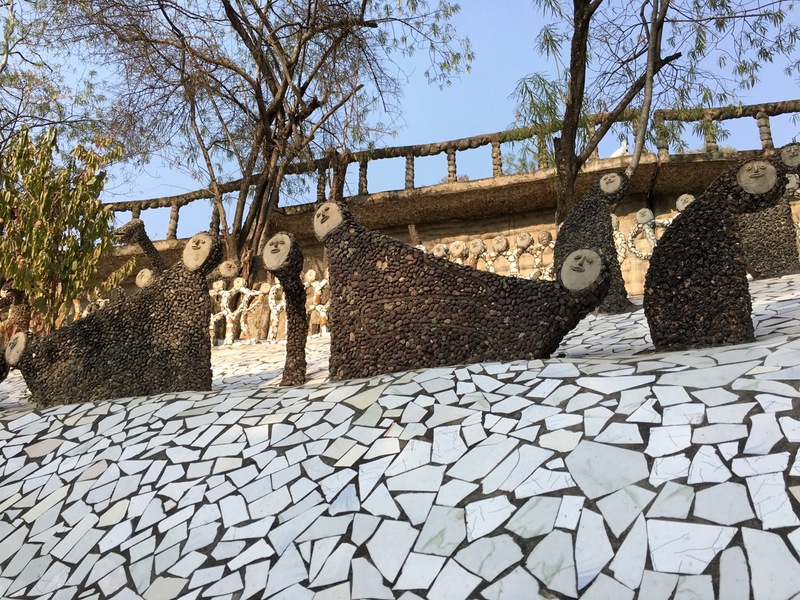 In 1957, a government employee named Nek Chand secretly started making sculptures in the off-limits forest in his spare time, using these cast-off materials and lots of local rocks. His little project remained hidden while he worked steadily on it for 18 years, when it was discovered by the authorities. 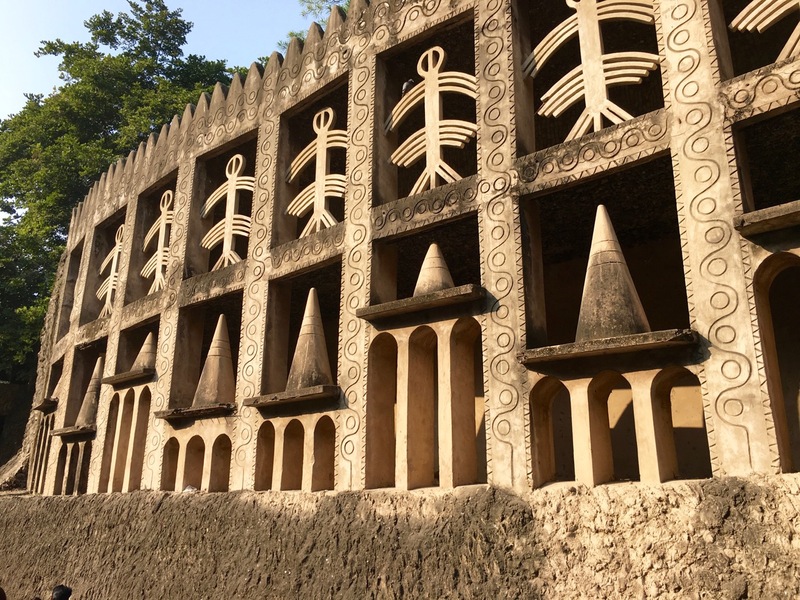 They threatened to tear it all down, since it was there illegally, but Nek Chand got public support on his side and they opened it up as a public park. 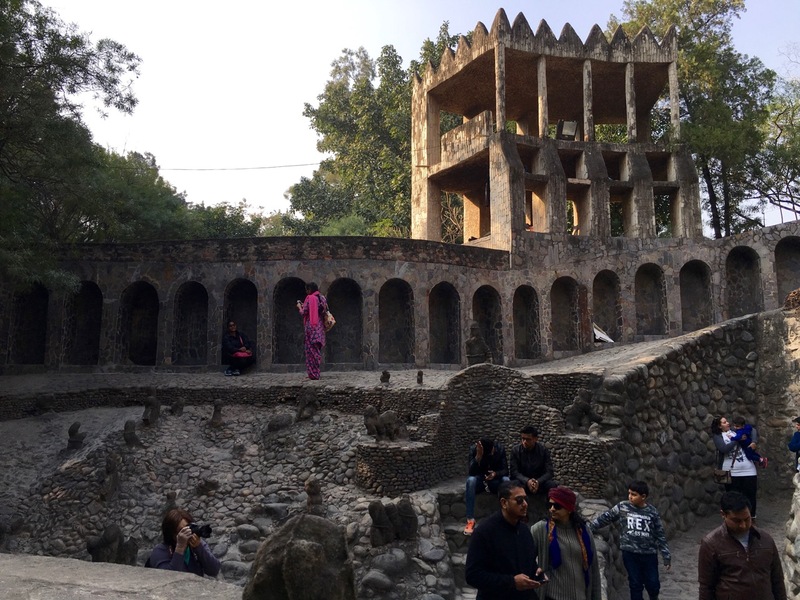 Since then, it’s been continually expanded, and Nek Chand has passed on. 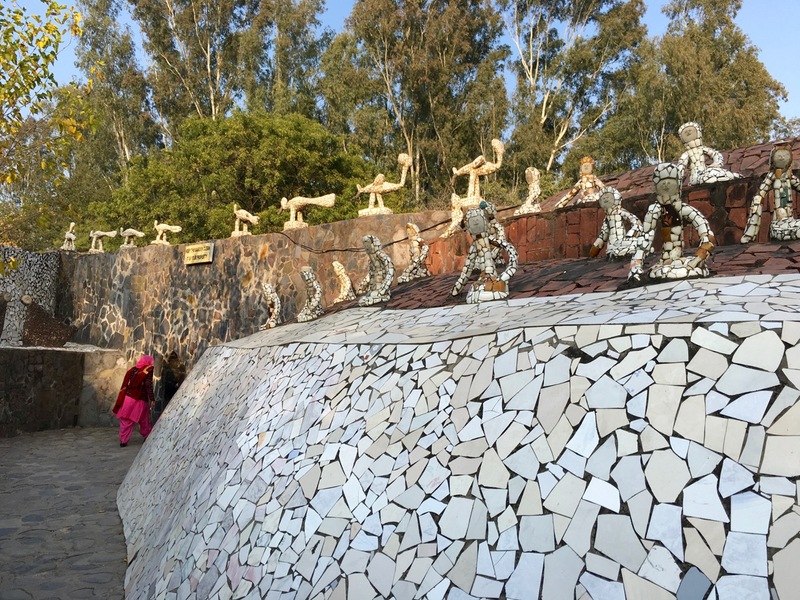 But thousands of tourists still come to check out his rock garden. We went there by auto-rickshaw one afternoon, and spent several hours walking around the whole thing. It’s a lot bigger than I thought. There are two main sections that are completed, and work is underway on a third. Each of these sections takes about an hour to walk through. 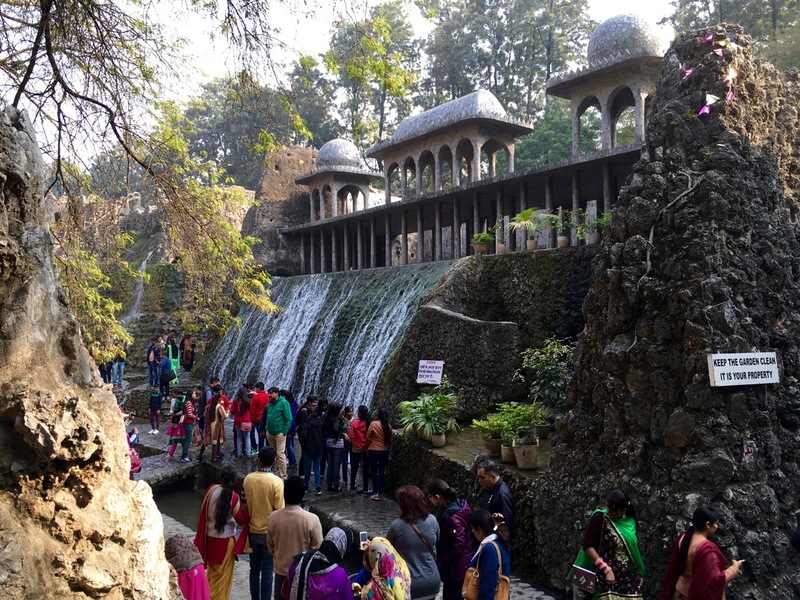 More people asked to take photos with us here than any other place we visited in India. 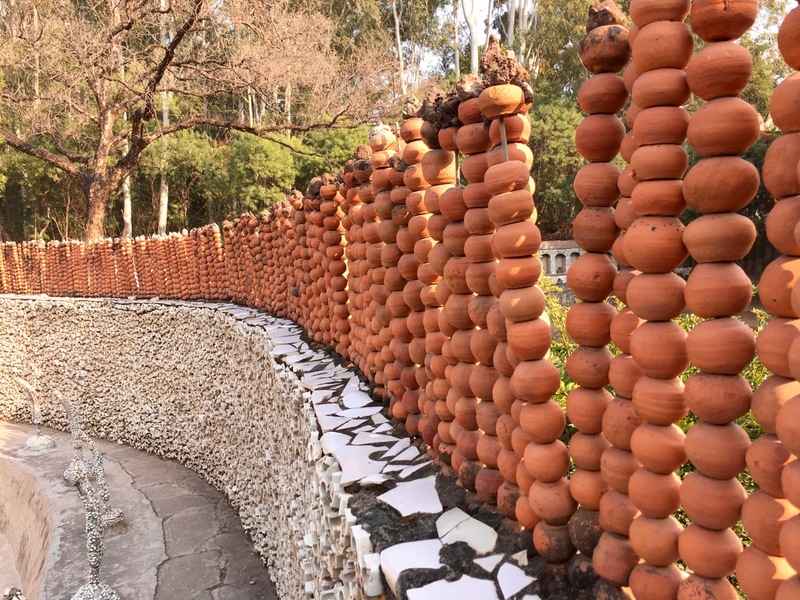 I guess that means this is a very popular tourist attraction for Punjabis or other Indians who travel to the big city of Chandigarh. There was one group of school kids that we kept running into over and over, and they asked us many blunt questions in English, which we answered. And they all wanted photos, too. 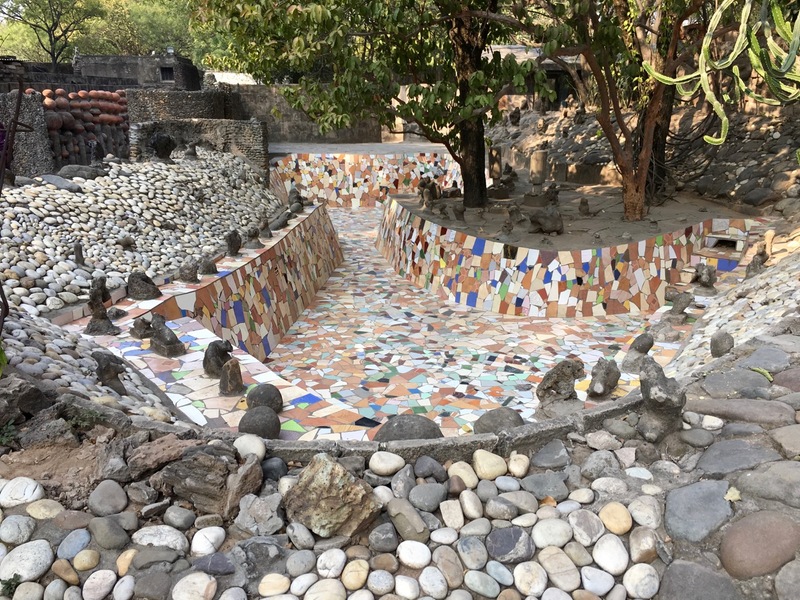 The rock garden contains a variety of types of work. 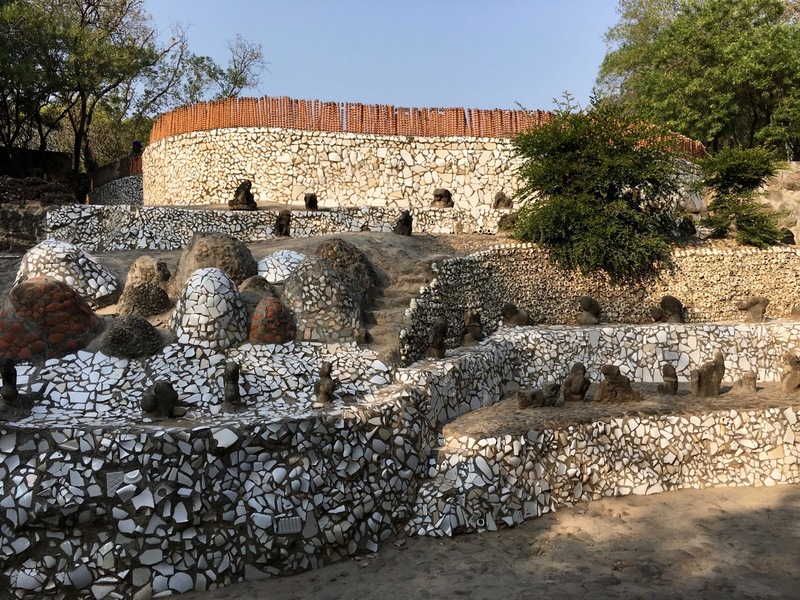 Some of the things are just landscaping done with stones and piece of pottery, some areas are dozens of similar figurines, and in some place there are these big canyons and waterfalls with stone or clay buildings. 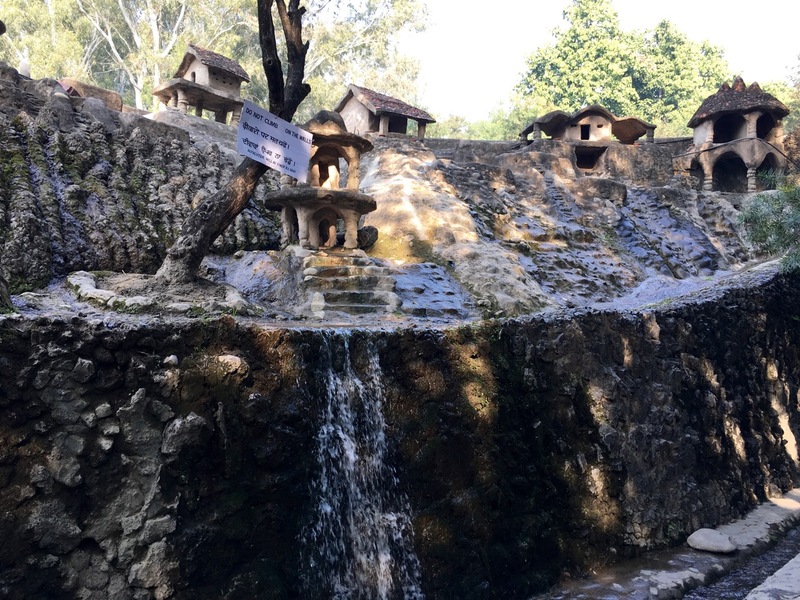 After we finished up at the Rock Garden, we took another auto-rickshaw down the road to the lake, where we walked around some, and watched people and birds. 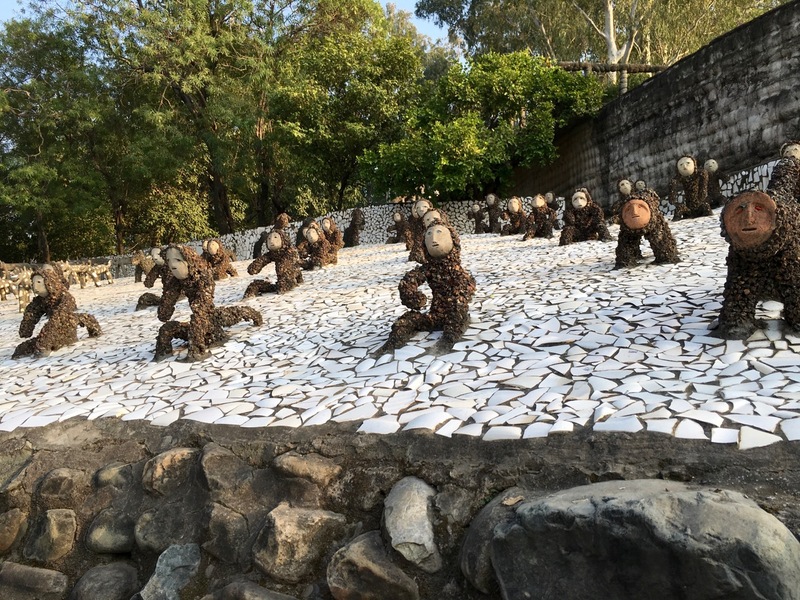 We saw the same group of school kids that we kept seeing at the Rock Garden. Apparently we weren’t the only ones who thought the lakeshore was a good place to visit after the rock art. Great photos and story, thanks for sharing. Hard to imagine how the creator kept this a secret for so many years; not exactly a small undertaking; in fact, seems he would have needed some help to put this all together. 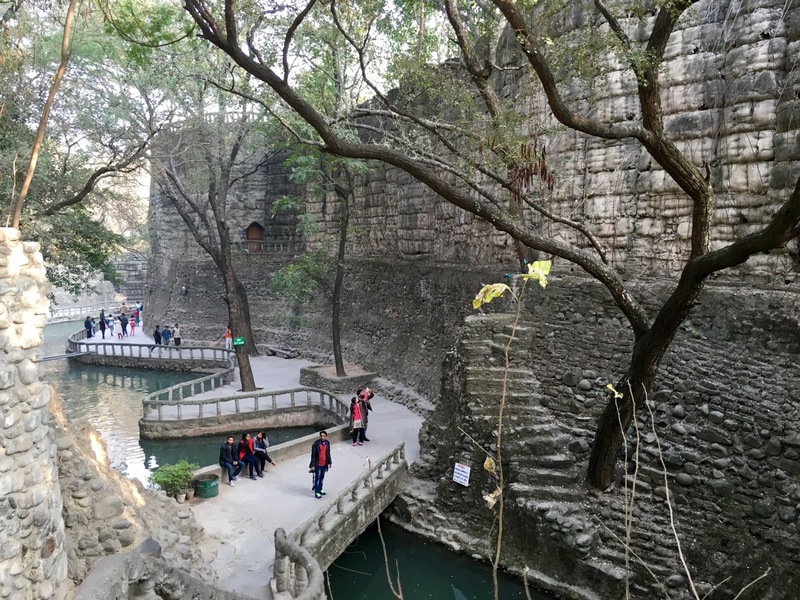 To be honest since India is not on my bucket list, with the exception of the great birding in some areas, the Rock Wall is the best attraction you’ve reported on that I would love to see. I think he was able to keep it a secret for such a long time because nobody really cared to wander back into the forest there, certainly nobody in an official capacity. The area was just an unused and uninhabited forest. Maybe he did have some help, but he worked on it as his main hobby for 18 years, so I can see how he’d be able to accomplish so much.